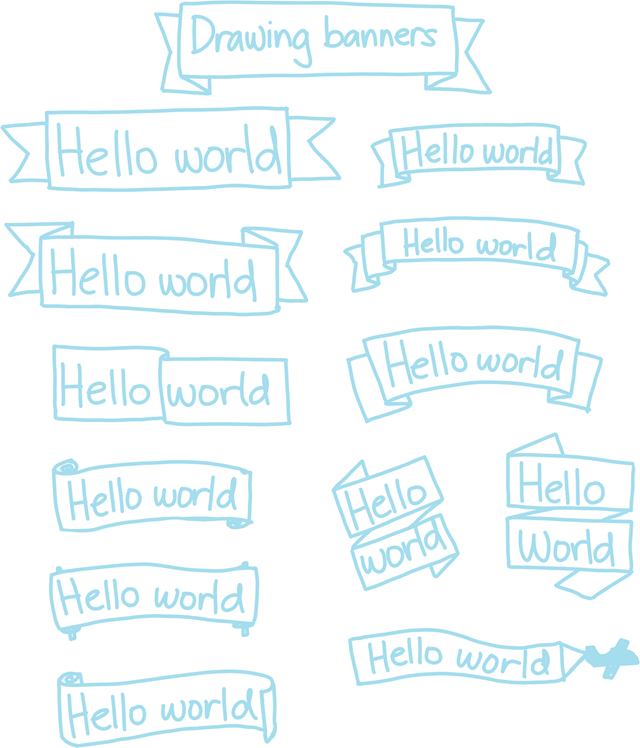 Banners and ribbons are a quick way to emphasize parts of your drawing. Instead of drawing the banner and then trying to fit the text into it, try drawing the text first and then drawing the banner around it. Here’s a step-by-step example. 2. Draw a box around the text. 3. Add two small triangles below the box. 4. Draw horizontal lines extending beyond the triangle, and another set of lines the same distance from the top of the box. 5. Add a ribbon edge if you want, or use a straight line. Want to get fancy? Add some shading, add more folds, and so on. Check out Kevin Dulle’s tutorial for other ways to emphasize things with shadows. Enjoy!